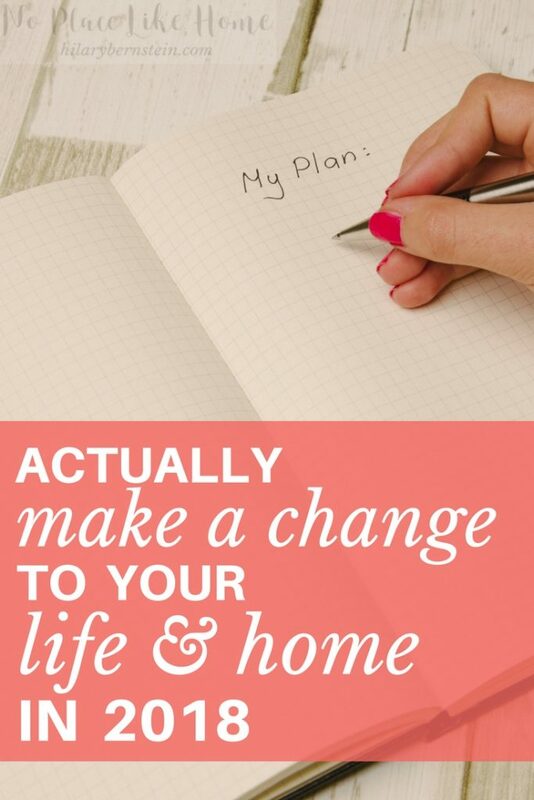 Feeling stuck with your life or homemaking this year? Make a change to your life in 2018 with one effective strategy. Think about the past year for a moment. Have you made any noticeable changes from last year at this time? Or are things pretty much the same? If you feel stuck in a rut, it might be because you are stuck in a rut. I’m willing to guess that you don’t want to feel stuck forever. But you might be stuck because you don’t know how to change. If you do know how to change, you just haven’t gotten around to it yet. I completely understand. So often in life, I think there’s a funny pull in knowing what you should do and actually doing it. When you follow through with the things you should do, you can see change – and typically change for the better. And when you ignore the changes you know you should make, for whatever reason, you end up feeling stuck. But you also have the annoying reminders that you need to change and simply haven’t. In your home, this might look like you obviously know you need to get around to decluttering. Your rooms and spaces are bursting at the gills. You feel like you’re drowning in stuff and have absolutely no idea where or how to start digging yourself out of the mess. Maybe you know you need some sort of plan of attack for cleaning. Weeks go by and your home gets dirtier and dirtier. You might have a cleaning spree every now and then, but the weight of household chores is dragging you down. You’d love to use some sort of a system to keep you on track, but you keep putting it off. Or your daily routine is so random that it’s driving you up the wall. You need to find some sort of order – both for your own sake and your family’s – but every time to you try to figure out a daily or weekly schedule, it never works out for more than a day or two. Living in defeat, you keep muddling along. 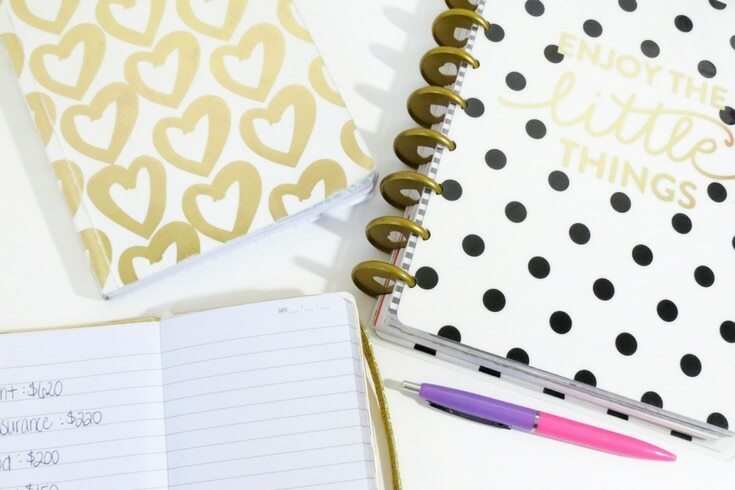 Every January 1st, I make resolutions – and goals – for the year. But left only as resolutions, they usually fizzle out by February 1st. Now that 2017 is ending, I can think back to the resolutions I made on New Year’s Day and know exactly what I accomplished (purging and organizing my home – and keeping it cleaned and organized) and what I failed to do (get completely out of debt, file a huge pile of photos, seriously stick to an exercise routine, cut out sugar). I’m afraid to put my failed resolutions on a to-do list for 2018, because of my disappointment. Yet ignoring them won’t make them disappear. As 2017 is ending and I’m faced with my successful and failed resolutions, I’m trying to figure out a good approach to 2018 so it can be my best year ever. 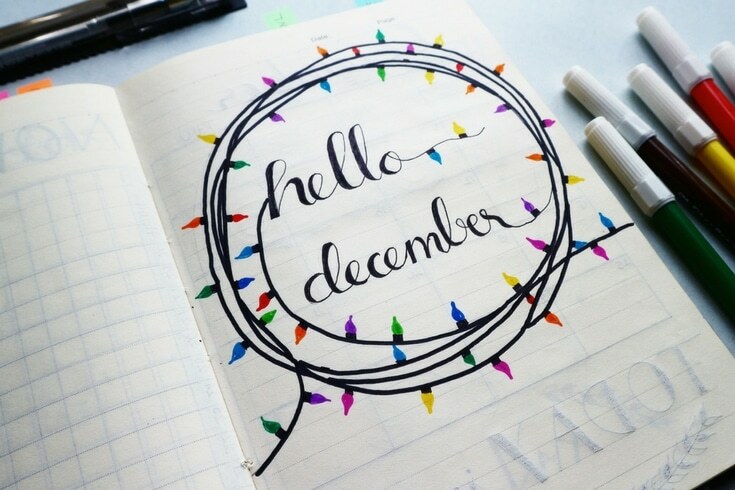 To do that, even now before Christmas, I’m using the month to examine what went well … and what didn’t. One tool I’ll use is Michael Hyatt’s LifeScore Assessment. It’s free, takes less than 10 minutes, it measures different areas of life that matter most, and it shows what’s working in life … and where growth and change is needed. To make any difference in the new year, I know I need to use a strategy – the same strategy I used to actually accomplish any resolutions this year. I’ll gladly share it with you so you can make a difference in your new year, too. 1. Know what I need to change. Since I learn and remember things better by writing them down, I make a list of exactly what I want to change, along with every single step I need to take. 2. Know when I’m going to make the changes. Once I know what I need to do, I figure out exactly when I need to do the hard work. This involves examining time to work and then scheduling it. This step also includes setting deadlines along the way. If I don’t have a serious deadline to work toward, I’ll procrastinate or forget about my goal. Now that I know what I need to do and when I can do it – and when I need to finish – I simply work my plan. Not that working a plan is necessarily simple. Plenty of grit and hard work is needed to stick to it. But the actual process isn’t a difficult one. When I do pray, I notice work actually gets done. As I commit my work to Him – and as I work for His glory – it does seem like my plans are established. When I don’t, it’s easier to lose focus and drift away from what I know I should do. You can use the same strategy in your own life – and home – now and in the new year. 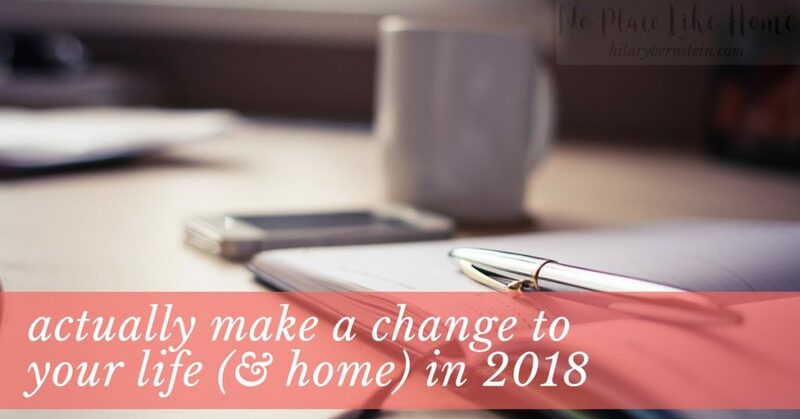 By knowing what you need to change, making goals, creating a plan, and working that plan, you just might be surprised by the noticeable changes in your life next year at this time. And you just might be surprised you’ve gotten out of your rut. Know you need to make a change to your life in the new year? What is it? Disclosure: Because I’m a huge fan of Michael Hyatt’s work, I’m an affiliate partner of his Best Year Ever. Some links in this post are affiliate links. This means that, at no added cost to you, I may make a commission on products purchased through these links. Thank you for supporting this website!